Patricia “Pat” Mustain, 84, of Sloan, Iowa died Saturday, September 1, 2018 in Sioux Falls, SD. A funeral mass will be 10:30 A.M. Friday, September 7, 2018 at St. Joseph Catholic Church in Salix, Iowa with Father Michael Erpelding, officiating. Burial will be in St. Joseph Catholic Cemetery in Salix, Iowa. Visitation will be 5:00 – 8:00 P.M. Thursday, September 6, 2018 with a scriptural wake service at 7:00 P.M. at the Church. Arrangements are under the direction of Rush Family Care Service, Onawa, Iowa. Pat was born August 8, 1934 in Sioux City, Iowa the daughter of Leonard and Kathryn (McGivern) Juneman. Pat attended Sloan High School and played on the State basketball team in 1952. In the spring of 1954 she met Roger Mustain on a blind date, and 7 months later they were married on November 25, 1954 in Salix, Iowa. Two years later, their daughter Kathy was born and 5 years later they added Michele. She was blessed with 3 beautiful granddaughters and 6 great grandchildren. Roger passed away on September 20, 2002. After high school graduation she began working at the Sioux City Journal and eventually began a long and full career at Younkers in downtown Sioux City. 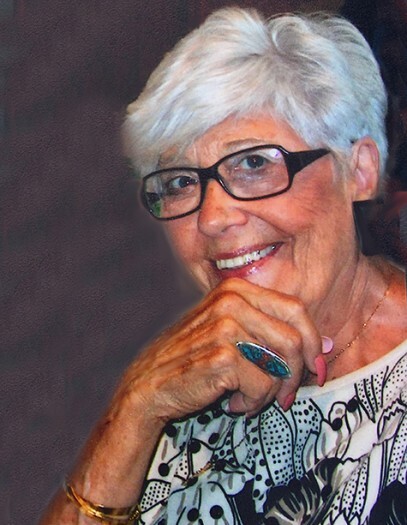 Pat began her Younkers journey as a sales clerk but quickly became a member of the advertising department writing and creating ads. When the advertising department was moved to Des Moines, Pat was put in charge of the personnel department and fashion director for the store. She was also the mentor and director of the Younkers Teen Board. After nearly 25 years with Younkers, Pat retired but entered into another challenging career with the Siouxland Chamber of Commerce. There she served as the Membership Director and leader of the Ambassadors or green jackets. During this time she organized many award dinners as well as multiple Siouxland Steak Dinners in Washington, DC, an event that soon became renowned with all the Senators and Congressmen on Capitol Hill. Among her hobbies, Pat loved reading, needlepoint, bridge, watching westerns and musicals, and above all, spending time with her family and friends. Pat was a member of St. Joseph Catholic Church in Salix, Iowa. Survivors include her children, Kathryn L. (James) Westergaard of Mapleton, Iowa and Michele R. Mustain of Sioux Falls, South Dakota; grandchildren, Allison (John) Dirksen, Meghan (Trevor) Simmons, and Kristen (Michael) Bladt; great-grandchildren, Theo Dirksen, Hugh Dirksen, Audrey Simmons, Isabel Simmons, Christian Simmons, and Weston Bladt. She was preceded in death by the love of her life Roger Mustain; her parents, Leonard and Kathryn (McGivern) Juneman; a granddaughter, Adrienne Westergaard; and her brother, Ronald Juneman.